FC Barcelona Lassa cruised to a 4-1 win over Girona on Friday night. The team paraded the league trophy on the last home match of the campaign, which was also the final game of Ricard Muñoz in front of his own supporters. Pau Bargalló and Lucas Ordoñez gave Barça a 2-0 lead inside the first 20 minutes which were dominated by the home team. The visitors never gave up and managed to get back into the game soon after Barça's second goal through Pelicano. However, Barça were simply too strong for their opponents and the two-goal cushion was restored through Marc Gual on 38 minutes, before Matias Pascual put the icing on the cake late on. 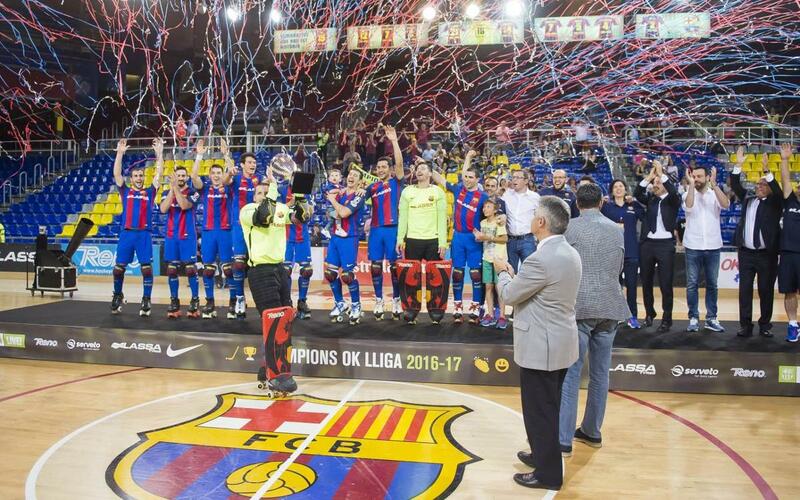 At the end of the game, Barça received the league trophy and celebrated in style with their supporters.